The waving wheat, it sure smells sweet! 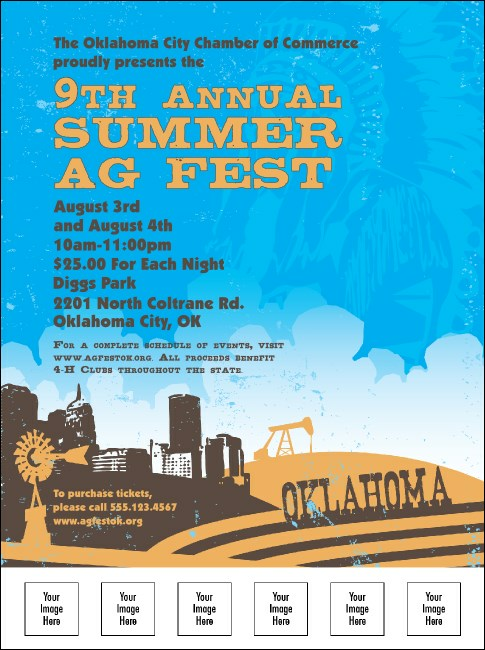 Make sure your next local event in the Sooner State is successful. Printed a city skyline, golden fields of wheat and bright blue skies, the Oklahoma Flyer has six spaces for your images. TicketPrinting.com makes customization easy! Just fill out the templates below.